Palma, 23 January 2019. TUI Destination Experiences, under whose umbrella the TUI Group has bundled its activities, excursions and round trips, is testing the next generation of experiences. The world's leading provider of destination experiences is currently conducting tests in Palma de Mallorca on the use of augmented reality on excursions and activities. While the raised umbrella of the city guide still dominates the picture during city tours today, tourists with stereoscopic augmented reality glasses could spray a touch of science fiction in the future. The glasses allow holidaymakers to explore places individually without losing any inside knowledge. In the future, information, photographs, videos and 3D models will be shown right in front of what you are looking at. In the test that TUI Destination Experiences is currently conducting in Palma, users can learn more about an artist whose paintings they are currently viewing. Later they are transformed into the Middle Ages and see the famous dragon that is said to have terrorized the city in the past. "Augmented Reality allows holidaymakers a new, more exciting access to historical facts and stories and takes into account the increasing desire of guests to explore cities and towns on their own," explains Chris Carmichael, Head of Innovation at TUI Destination Experiences. "In our experience to date, the spectacles are also comfortable to wear for the user, so that they are not distracted by the actual experience". TUI Destination Experiences is the world’s leading provider of destination experiences. With 9,000 employees in 49 countries the company generates a turnover of 700 million euros. TUI Destination Experiences, based in Palma de Mallorca, offers 14 million customers a broad product portfolio of high-quality destination experiences such as excursions, activities, tours, transfers and guest service. TUI Destination Experiences sold more than six million activities and excursions last year. Through its subsidiary Intercruises, the company is the leading global cruise handling company. The company also owns Musement, one of the leading online platforms in the Tours & Activities market. It’s a crucial part of the company’s culture to be responsible for development of sustainable tourism in all of the destinations TUI Destination Experiences operates in. 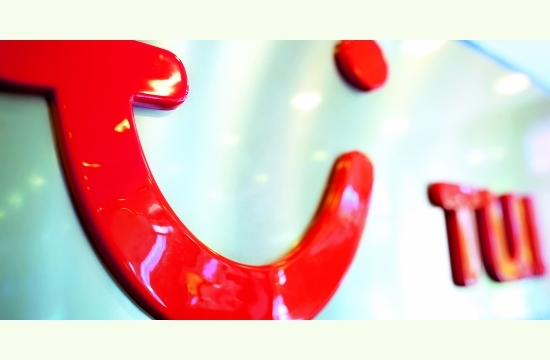 TUI Destination Experiences is part of the TUI Group, the world's leading tourism group.